In advance of the new school year earlier this month, North Korean parents opened their wallets to buy their children quality school supplies and merchants stocked up on high-quality items to entice consumers to their stores. Schools in North Korea start their first semester on April 1, around one month later than schools in South Korea. 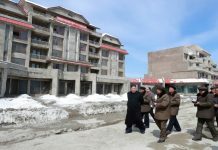 North Korean sources told Daily NK recently that even in a place like North Korea where people sometimes struggle to buy enough food, they will spare no expense to get the necessary school supplies – including notebooks, pencils, crayons, and pencil boxes. Parents will spend 50, 60 or even 70 dollars for their children who are starting elementary or middle school, according to the sources. In Pyongyang, parents flock to school supply “corners” in department stores, but in the provinces, most people buy their supplies at the markets. “Parents flocked to school supply stalls in the markets to buy everything their kids need for school,” a source in Ryanggang Province told Daily NK. Market merchants are enticing customers through bundled school supplies sold at lower prices than normal. In South Korea, parents and relatives spend hundreds of dollars for students entering elementary school to buy them book bags, school supplies, desks, clothes and smartphones. The phrase “ten pockets” has become a popular term to describe how relatives – from aunts and uncles to grandparents – all open up their wallets to pay for a single child’s education. Premium school bags have become popular and the Randoseru bag going for over 1,000 US dollars (a favorite of Japanese elementary school students) is usually sold out a few months before school starts. 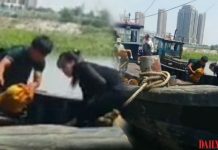 North Korean parents are also increasing their spending on school supplies as they are having fewer kids on average, a stronger desire to invest in education and the opportunity to buy better quality products. 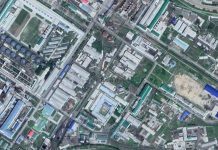 The bags and school supplies produced by Pyongyang’s Yongbong School Supply Factory are generally considered better quality than most Chinese-made school supplies. 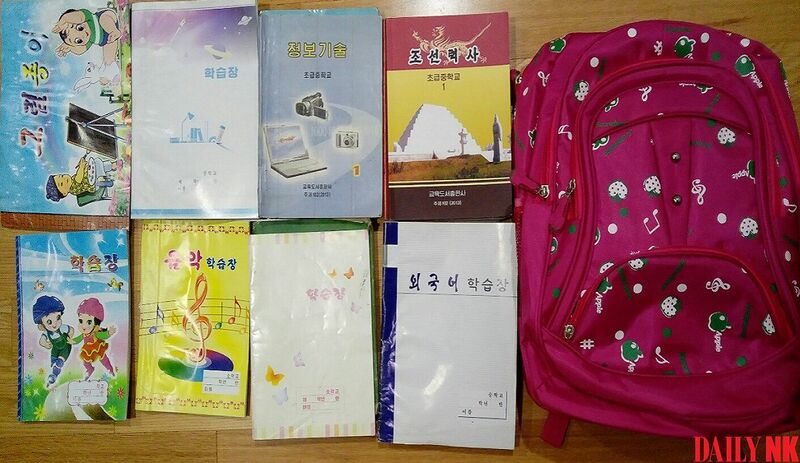 Many North Korean children, however, are not the recipients of such school supplies. Households that struggle to survive have difficulty just sending their kids to school due to the poor conditions in the education system and the costs involved. The only things provided for free by the schools are school uniforms and textbooks.